Natural preservatives are in high demand, but are often less effective than their synthetic counterparts, meaning that researchers and suppliers continue to seek new natural sources. Rye bran is among the latest to show potential. Researchers at Penn State University identified a class of compounds called alkylresorcinols (AR) as a potential substitute for synthetic preservatives in oil-in-water emulsions such as salad dressings. ARs are found in grains like rye, barley and wheat and naturally inhibit the growth of mould and bacteria. In the journal Food Chemistry, the researchers wrote that ARs from rye bran were effective in preventing the degradation of products that were high in healthy oils, such as omega-3s, and they also protected their health benefits. Natural antioxidants from rye bran could be of particular interest for the food industry because bran is often a waste product, so finding a use for these compounds adds value to something that would otherwise be discarded. However, further work would be needed to improve their efficacy, as the researchers found the ARs to be less effective than commonly used antioxidants, either natural or synthetic. Companies already working in the natural preservative space increasingly are looking at blends of natural compounds in an effort to replicate the efficacy of synthetic ingredients. Naturex, for example, introduced a blend of rosemary and spinach extracts in 2018 to replace the common synthetic preservative EDTA in sauces and dressings. The company claims its researchers screened more than 400 different natural compounds over a five-year period for their antioxidant properties before it found two that worked best together to prevent rancidity in emulsions. Meanwhile, Kemin is another company that advocates using blends to provide synergies between different ingredients for preservation. It recently released a blend of green tea, spearmint and rosemary extracts, for example, which it says targets both the oil and water phases in an emulsion. Although there are already many natural options on the market, it is important to note that blending compounds often provides a more effective preservation system. This means that ARs from bran could find a place alongside other ingredients as valuable natural preservatives, even if they were not as effective as individual existing options in this latest study. What is more, it is possible that researchers will identify other, more potent ARs that could also be useful antioxidant ingredients. One of the most important drivers for this research will be consumer demand, and natural preservatives are among the most sought-after ingredients. Leatherhead Food Research found in a 2013 survey that consumers were willing to make sacrifices for natural ingredients, with 57% saying they would pay more for natural preservatives, and 82% saying they would accept a shorter shelf life. 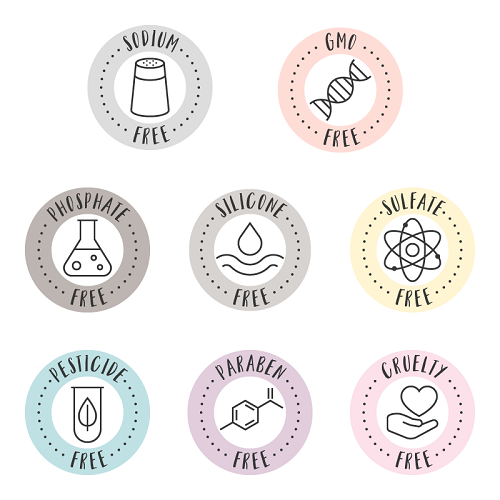 For manufacturers, choosing natural preservatives requires a balancing act, weighing desire for naturalness and clean labels on the one hand with possible loss of functionality on the other. As researchers continue to identify and describe ingredients for natural preservation, companies are likely to gain new options with less need to compromise on important product attributes like affordability, long shelf life or appearance.